SAN FRANCISCO -- Chrysler Group will return to the Super Bowl on Sunday with a two-minute commercial that highlights one of the group brands, Chrysler CEO Sergio Marchionne said today. The commercial, which will air during the third quarter, is the first time an advertiser has bought two minutes of time during the game. Thirty-second Super Bowl spots sold for $3 million for this year’s game. Marchionne wouldn’t say how much Chrysler is spending. 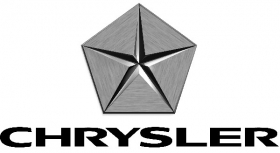 Chrysler had to get approval from the National Football League for its spot because most commercial intervals are only 90 seconds. Last year Chrysler was the only Detroit automaker to advertise during the Super Bowl, running a 60-second commercial for its Dodge brand. Portland, Ore.-based agency Wieden + Kennedy developed the spot.